Hi you all ! I've seen many times people saying that they'd love to purchase stuff from SLM but that the shipping costs and taxes were too high. Being on a small and very tight budget, I'd like to avoid piling up in my store stuff that won't sell. So in order to both please you people and avoid having a lead hoard here, I will ask you who are interested to get in touch with me either on this website contact page or on my Facebook page by Message. We'll discuss your order. Once I'll have enough stuff I'll make a group order and you'll find it available on my e shop. It starts today 31 th of March until the 30th of April midnight. After this campaign I will have to raise a bit my prices for SLM stuff, I hope you won't be too disappointed but that's something I have to do. Another thing, with the uncertainty of the Brexit and its possible additional taxes for my british customers, I can't guarantee that I will keep doing group orders in the future. I'm afraid that between my price raise and the possible taxes, I am not sure my offer will still be attractive and my british customers represent a large part of these group orders. 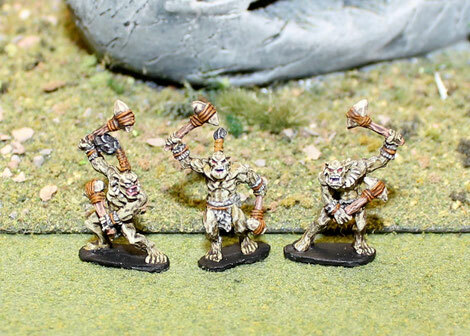 So please have a look at my store, I have some SLM ratmen, orcs and goblins and wood elves left. I'll keep my fingers crossed so it won't happen of course.